In colonial days Colombo was regarded as the Garden City of Asia, a reputation it appeared to have lost until the Commonwealth Summit in November 2013 made it necessary for the authorities to clean up the city. Walls around public parks were torn down (with no adverse effects) and revealed once again what a well-laid-out city with wide boulevards and lots of greenery Colombo really is. State-owned colonial buildings, like the old Dutch Hospital and the Grandstand at the former racecourse, were transformed into pleasant, spacious shopping and restaurant complexes. The latest public buildings to receive a makeover are what was once the Auditor General’s building and before that “Jawatta Lunatic Asylum”. 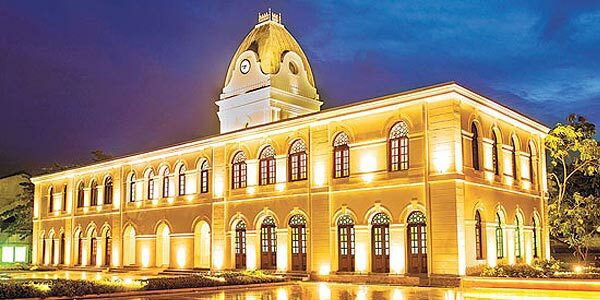 A spacious concourse with leaping fountains, ornamental ponds packed with dazzling fish and a statue of a resting pride of lions, has been created to link with the formerly abandoned Western Provincial Council Building. These buildings are both near Independence Square, in a green part of the city within walking distance of the National Museum. Their bureaucratic colonial architecture has been adapted to accommodate upmarket, brand name shops and even a boutique cinema complex. The transformation complements the other restoration work taking place in the city providing a welcome balance to the high rise hotels and apartment blocks that are shooting up and changing the city’s skyline. As I was walking behind the Dutch Hospital complex last week admiring the funky wooden furniture set out for patrons of the café behind the Hospital, I discovered a restored building I had not heard about, now housing the grandly named: Economic History Museum of Sri Lanka. Formerly known as the National Mutual Building it was begun in 1911 and opened its doors in 1914 as the city’s tallest building. It survived a chequered history (including neighbourhood bombings) and was in a decrepit condition when its ownership finally fell into the hands of the Central Bank of Sri Lanka in 2011. The bank began renovations using its best efforts to retain its original, unique ornate and classical interior design. 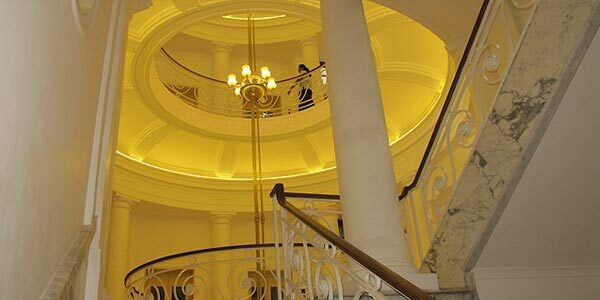 A grand columned, marble staircase curves around its central atrium up three floors to its cupola roof. Visitors wander in somewhat startled by its magnificence, and wondering if they must pay for the privilege of suddenly entering such a gracious building in the heart of Colombo (near the Kingsbury, Hilton & Galadari hotels). Admission is free, however, and each floor is devoted to some aspect of the currency of Sri Lanka and open to the public. 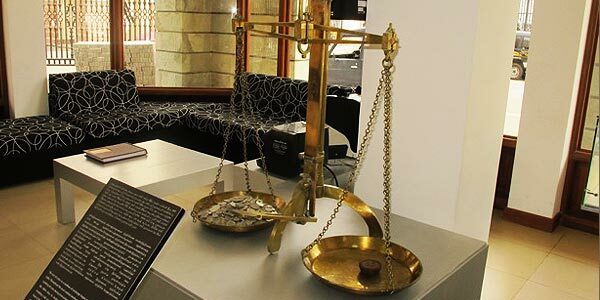 An informative book From Purana to the Rupee describing the theme and the exhibits at the museum is on sale and covers the history of Sri Lanka’s coins as well as of banknotes, including the newest one: a Rs5,000 note. It’s not just Colombo buildings that have been restored; Ceylon coffee is being revived too. 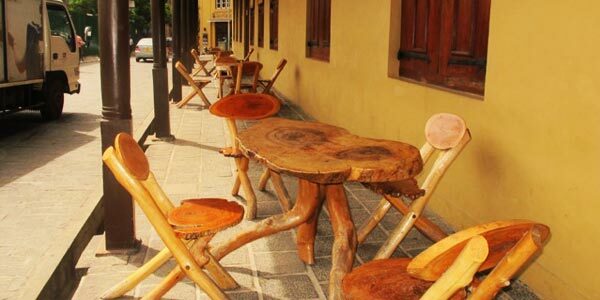 Coffee was the country’s main crop during colonial days until the mid-19th century when a severe blight ruined plantations (and the planters). Tea was introduced with great success thanks to promotion by entrepreneurs such as Thomas Lipton and pure Ceylon tea became a popular beverage. No one wanted Ceylon coffee and not many coffee fields survived. 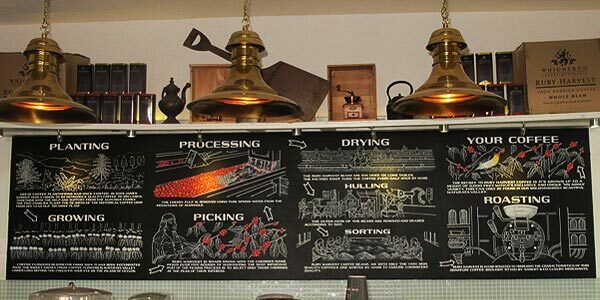 However, James & Gabrielle Whight, the Australians who created Colombo’s popular pub, the Cricket Club Café, realised the time was right to grow and market Ceylon coffee once again. Thus, the Whight & Co Luxury Merchants Emporium has opened on Marine Drive (another – privately – rejuvenated area) specialising in local coffee. An art-deco mansion has been transformed into a coffee hall over two floors and with a sea view. At the entrance is the coffee roasting room for the Whights’ exclusive Ruby Harvest coffee made from beans grown in the highlands. With all kinds of coffee presentation and the relaxed camaraderie that characterises the owners’ Cricket Club Café, this is an alternative to the franchised branded coffee shops peddling imported stuff. Gehan points out that for its size Sri Lanka has the largest concentration of wildlife and “ is the best all round wildlife destination in the world for wildlife tourism”. However, if you’re planning a visit to Sri Lanka in September, the bad news is that the Yala National Park, that popular dawn or dusk safari destination for visitors to the south of the island, will be closed. That’s due to the seasonal drought and also to give the resident wild animals a break from prying tourists. The good news is that September is the month when the largest seasonally recurring gathering of elephants in the world takes place, at Minneriya-Giritale National Park, which was upgraded from a Nature Reserve to a National park because of its popularity with visitors seeking to see elephants. 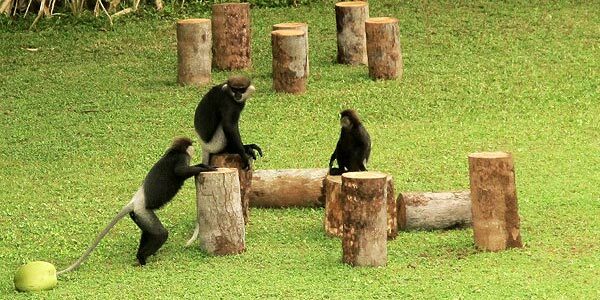 As it is located in the centre of the tropical triangle it adds a fascinating ecological extra to gazing at the ruins of Anuradhapura and Polonnaruwa. On a recent visit to Galle, I spotted this sign. Unfortunately the shop was closed but the sign tells so much about the times of old and modern Sri Lanka. 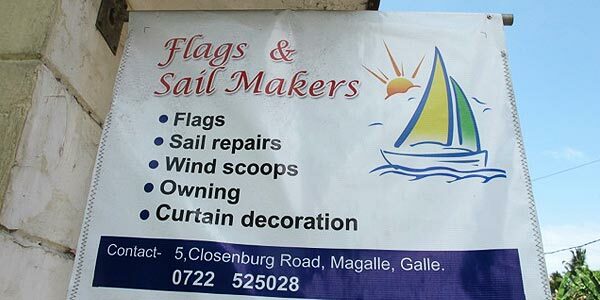 I do wonder what a “wind scoop” is though, and what “owning” means . INSIDE SRI LANKA A monthly insider’s report by Royston Ellis, July 2014. Or, if you’re a MorocconOil devotee, please buy my bottle off of me.